I decided to document the moments and details of our first weeks with the little one. My memory fails these days and sleep deprivation doesn’t help to remember the little snippets of our life I want to treasure. In those posts I will try to focus only on the positives. It will be my positivity journal of early motherhood. From those first four weeks I want to remember the moment she came out, the relief I felt and the instant happiness. She was placed on my chest as soon as she was born, her body was warm and there was hardly any vernix on her skin. I kept kissing her little face and I remember her cheeks and shoulders felt warm and soft. I want to remember her face after she finishes nursing on my breast. That turtle look she perfected in her first days of life and still does every time she finishes feeding. The way she tucks her head in between my breasts and puts both her hands under her chin to sleep on her tummy on my chest. Her sweet milky breath and perfectly shaped lips which form an ideal o when she’s interested in something. Her dark eyes which suddenly light up and look at me in the middle of the night just when I hope she’s about to doze off to sleep. The sound of her cry when she’s complaining about something but I know that she’s actually OK. The softness and fuzziness of her hair just after bath. The long walks we take each afternoon around the Meadows in Edinburgh and then to Marchmont. Since it’s winter, we usually catch the golden hour on our walk. I love the light and being surrounded by families walking back home from school. I love peeking through people’s big bay windows and seeing elderly ladies reading newspapers in the late afternoon or someone playing the piano. The gratefulness I felt when J would take the little one to another room so that I could have a nap and the first time I had a long bubble bath and just mindlessly watched YouTube make up tutorials for half an hour as J was taking care of the baby. The day when we discovered a new cafe in Tollcross called Leo and Ted. Often I drop in for a cup of coffee during the first leg of our walks and it always tastes so good and smooth especially on a cold winter afternoon. These first weeks with a little one were the most challenging thing I’ve ever done. Frankly, I don’t understand mums who claim that they loved every single minute of their first weeks with a newborn. Those days taught me that joy comes in various flavors, that asking for help is OK and accepting help is not a sign of weakness. And that love between two people looking after a brand new baby is best expressed in an offer of an uninterrupted and baby free nap. PS. 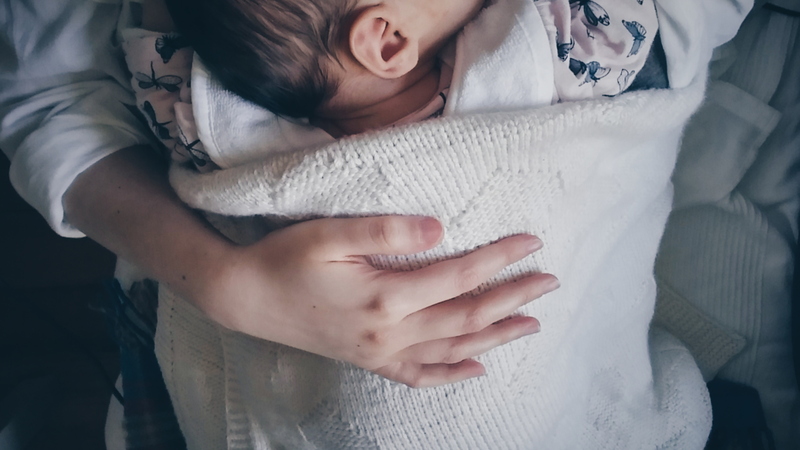 Recently I started using Instagram more frequently, mainly because it’s so easy to connect with other new mums and the community there is very positive and supportive. I usually post a couple of pictures a day with a short description and #motherhoodthoughts. Feel free to follow me @thefleetingday . C o n g r a t s!!! Wish you both health and love! I wish I was documenting my first months with my babies, differently than just photos. The memory fails and frankly, would be nice to come back and reflect on this unusual state of mind (mixture of joy and fear on unprecedented scale). Nevertheless – such a pleasure to read.